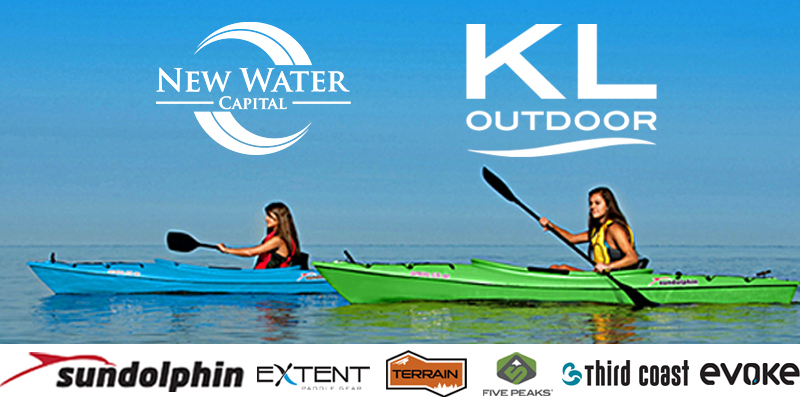 An affiliate of New Water Capital Partners L.P., a Boca Raton-based private equity investment firm focused on lower-middle market companies, has recapitalized KL Outdoor, a leading U.S. based manufacturer, designer, and marketer of branded outdoor lifestyle/recreational and outdoor events products. The company’s product lines include kayaks, stand up paddle boards, canoes, paddle boats, hunting blinds, sleds and portable restrooms as well as related accessories. KL Outdoor goes to market under several brands including Sun Dolphin, Evoke, Extent and Third Coast (all related to the company’s watersports segment), Terrain (outdoor hunting products) and Five Peaks (portable restroom products). Headquartered in Muskegon, Michigan, KL Outdoor proudly manufactures all of its products in America, utilizing thermoforming and roto molding manufacturing processes. KL Outdoor sells products to a diverse, blue-chip customer base across North America for the watersports business and globally for the outdoor events business segment. “Our partnership with KL Outdoor will enable the company to meet rapidly growing demand from its retail customers by optimizing and increasing North American production capacity, and accelerating new product development,” said New Water partner Mark Becker. Amherst Partners was exclusive financial advisor to the company with respect to this transaction. New Water Capital, L.P. is a private equity firm focused on lower-middle market companies in transition, in the consumer, retail and industrial manufacturing and services sectors, with revenues of $30 million to $300 million. New Water Capital’s collaborative transaction and operating model is built specifically to support companies with unique business and operating challenges. For more information, please visit www.newwatercap.com.